With the exception of a few copies of the 8C Competizione, Alfa Romeo hasn&apos;t sold any cars in the US since 1995. With their parent company Fiat having acquired a large stake in Chrysler recently, Alfa now has the dealership network and North American manufacturing facilities it needs to bring the almost-legendary brand back to the US. Leading the charge into the US market will be the new 4C, as well as an all-new version of the Spider. 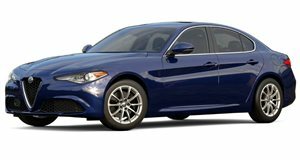 Somewhat more practical, but sure to be every bit as stylish, will be the new Giulia, the replacement for the 159. There will also be a large sedan based on the Chrysler 300 and an SUV based on the Jeep Grand Cherokee. We&apos;re less excited about these two, but so long as they aren&apos;t taking the place of anything more interesting, we can look the other way. Fiat plans to have everything in place for the 2013 model year, and we&apos;re certainly hoping that works out.